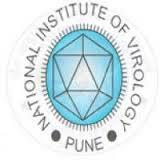 Project Technical Assistant (Social Science) Vacancy – Last Date (Interview) 25 February 2019 (Alappuzha, Kerala), National Institute of Virology (NIV) recruits Project Technical Assistant (Social Science) Post. Candidates with Graduate, Post Graduate experienced can apply. Graduate (three years degree) in Social Science from a recognized university with three years work experience from a recognized institution or Master’s degree in the relevant subject.